“I Feel Bad About My Neck, Our faces are lies and our necks are the truth.” the famous writer and journalist Nora Ephron expressed the feelings of generations of women who have been furtively hiding their necks like turtles in scarves, boas, turtlenecks and chokers. Her blunt advice is to begin concealing the neck at age 43. Should they be concealed forever? There comes a time when you need to choose to change and act upon it. Unfortunately, not all of our issues are limited to the neck. Whether you wish to change and refine your appearance or reduce the effects of aging, Philadelphia plastic surgeon Dr. Bruce Genter and the staff of the Aesthetic Plastic Surgery and Skin Care Center offer the expertise you need to help you make the right cosmetic enhancement decisions. Dr. Bruce Genter has over thirty years of experience. He can identify the changes before the patient even points them out. With an artistically trained eye, Dr. Genter can immediately point out which area you should modify and can imagine exactly how to sculpt it. Dr. Genter has a wide range of experience and education that provides him with the diverse ability to address any and all of your needs. Dr. Genter is locally born, raised, and educated in Philadelphia. He graduated from Northeast High School, studied at the University of Pennsylvania Medical School, after which he continued in general surgeon in New York City. After this he attended Yale University, where he received his plastic surgery training. 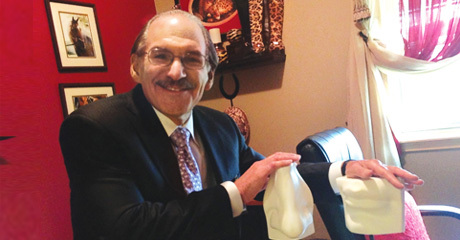 Owning his own practice since 1984, he is consistently rated a top Philadelphia plastic surgeon and contributes greatly to the local community as an educator and a leader in several different professional societies. Bruce has the the artistic eye of his mother who was an artist. She instilled in him an eye for aesthetic beauty that he carries with him to this day. Today it is not a question of either inner or outer beauty. 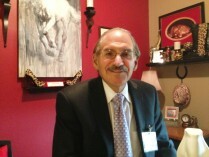 He is in full agreement with the words of Anton Chekov who states, “everything about a man should be beautiful.” Certified by the American Board of Plastic Surgery, Dr. Bruce Genter is widely known for his surgical artistry in rhinoplasty and facial surgery, breast augmentation and reconstructive breast surgery, “Mommy Makeover” and body contouring after weight loss. 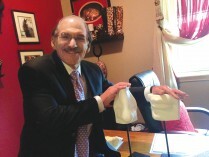 For six years Dr. Genter was named “Best Plastic Surgeon in (Philadelphia) Montgomery County” by the Reader’s Choice Awards. Patients have turned to him for correction of unsatisfactory surgical results and reconstruction of defects after trauma or cancer surgery. He has built a reputation for excellence using the finest techniques and innovative methods. – When I compare how my patient looked before and after the operation, I see clear results. I get real professional and moral satisfaction. And when you consider that these results are often a direct effect on the patient’s life, changing it for the better, plastic surgeons have no better satisfaction. – How essential do you believe plastic surgery is, even when it comes down to changing the shape of your nose or slowing down the aging process? – First of all aesthetic cosmetics are directly connected with important things in human life such as, self-confidence, getting rid of the complexes, and the pursuit of harmony and happiness. For example, one case that I had with a high school senior who felt uncomfortable with the size of his ears. He felt self-conscious and this held him back from reaching some of his internal goals. His parents were concerned how this might affect their child as he moves on to college and through life. After surgery, the arents say that their son has changed even internally. Now he has confidence and incentive. Another aspect of surgery that can be essential is the type to try to restore original beauty that has been affected by previous surgical result or due to truama or surgerydue to medical issues. – Operations such as liposuction, neck or face lift, breast augmentation or reduction, and many others suggest anesthesia, s ometimes – a risk. It scares many people. How do you ease people about this fear? – First of all, I am a doctor. And before surgery we will conduct a full examination of the patient, identify health problems, and assure that the patient is eligible for surgery. My main goal is to help people and I will do everything based on my professional and academic expertise to ensure this. I would add that modern anesthetic equipment enables complex surgeries to run smoothly. – I found out that you started to offer hair restoration treatments. What is that? How does it work? – I offer new technique of Follicular United Extraction (FUE) using the NeoGraft® Automated Hair Transplantation method. The FUE hair transplantation procedure removes individual follicles from the patient’s scalp in their naturally occurring groupings. These “groupings” are small clusters of about 1-4 hairs; they are placed in the areas of the scalp where balding is occurring and hair will begin to grow in those places. This procedure has a very fast recovery and high success rate. – Some surgeons perform surgeries without proper training. What could you recommend to avoid this problem? – In any case, I would recommend to any person who speaks to the plastic surgeon, ask about his qualifications, check his or her licenses and certificates. It is important that the plastic surgeon is certified by the American Boartd of Plastic Surgery. These professionals have both fundamental knowledge in this area, and a focus on improving their plastic surgery skills. – If the patient’s condition does not allow the surgery, there is any alternative way? – In our medical center, we have the set of non-surgical methods to improve appearance – Botox, fillers, laser treatment, skin care etc. Injection techniques are used for the prevention of skin aging signs, as well as to correct their existing signs. The injections can improve skin texture, making it more well-groomed, fresh, supple; eliminate wrinkles; smooth nasolabial folds, and increase lip volume. To improve the efficacy of injections, these methods can be combined with other treatments – peels, resurfacing, etc. We also offer a program of weight loss and anti-aging. – Plastic surgery – not a cheap pleasure which not everyone can afford. What can you offer to those who cannot immediately afford it, but really wants to rejuvenate? – Our center offer financing for 26 and 34 months. 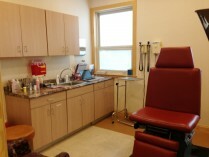 Conditions – favorable and convenient for patients. I think today, anyone who wants to improve their appearance can do it. Whether it is through plastic surgery or through our non-surgical treatments, we can work with the patient to figure out how to achieve the appropriate results. An old Russian saying states, “it is not important to be born beautiful, it is important to be born happy,” but why not achieve both? With advances in the Plastic Surgery field and with the artistic eye of Dr. Bruce Genter and his talented staff, it is now possible to achieve all of your needs to be both beautiful and happy. The Aesthetic Plastic Surgery and Skin Care Center is now located on the border of Northeast Philadelphia and Feasterville, Bucks County, close to you.